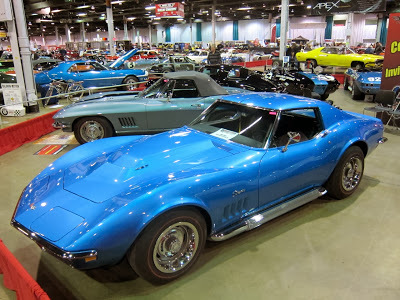 Close to half of the 20 multi-million-dollar ’67 L88s, plus a few ground-pounding 1968-’69 Corvettes, were at one place at one time: MCACN 2013. 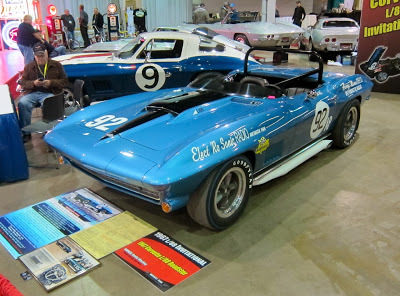 Bob Ashton has a reputation for assembling the quickest, fastest, rarest and most valuable muscle cars and Corvettes at his annual Muscle Car and Corvette Nationals (MCACN) in Chicago. This year he outdid himself. 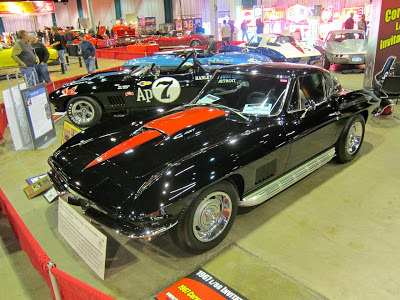 Working with Kevin Mackay at Corvette Repair, Valley Stream, NY, they assembled a mind-boggling number of L88 Corvettes, including seven of the twenty ’67 Sting Rays Chevrolet built. 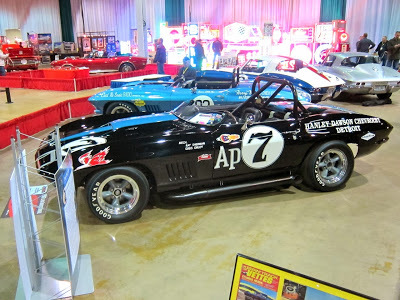 They graced a special display: L88 CORVETTE INVITATIONAL, hosting a total of ten monster-motored C2 and C3 Corvettes. 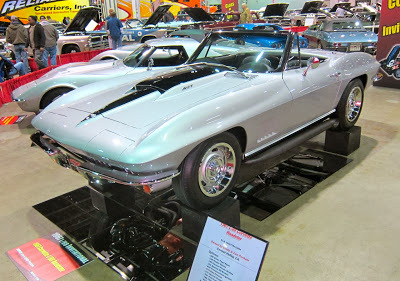 Photos above, first RPO L88 ’67 Corvette built, ex-Tony DeLorenzo, owned by Chuck Ungurean. Only the best of the best were invited and the response was overwhelming. 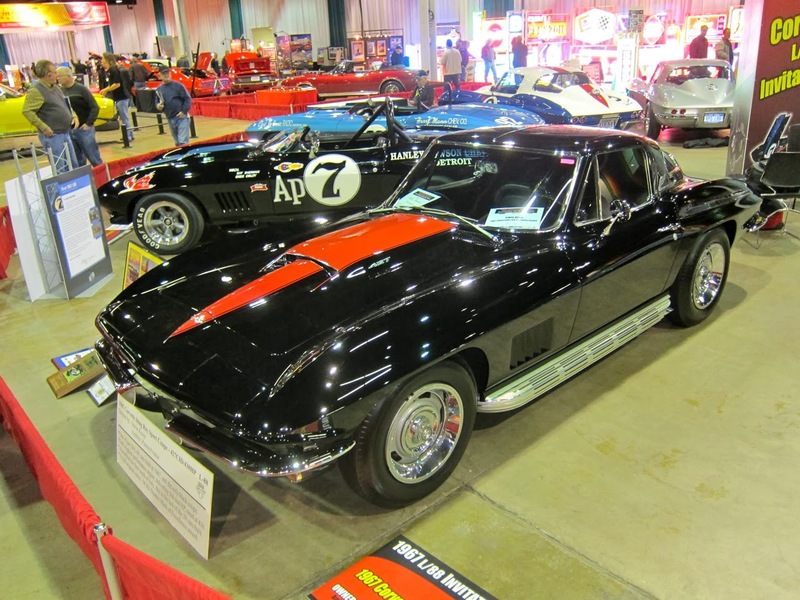 Mackay, a ’67 L88 owner and known for his restoration of rare Corvettes, especially racecars, rallied the troops. 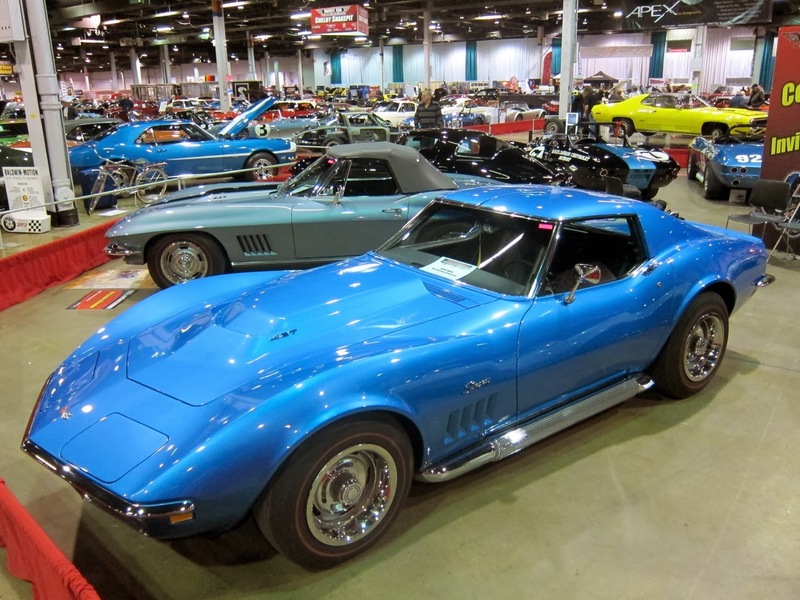 They came from both coasts and America’s heartland, offering spectators a rare show of force from Zora Arkus-Duntov’s premier portfolio of Corvette power. Len Perham’s spectacular ’67 convertible, above, freshly restored, shown for first time at MCACN 2013. For those who are not familiar with L88 Corvettes, Chevrolet built just 20 1967 models, followed by 80 in 1968 and 116 in 1969. The option, RPO L88, was engineered for racing and dealers did not encourage customers to order the package unless they were planning on racing. Many, however, did end up on the street. 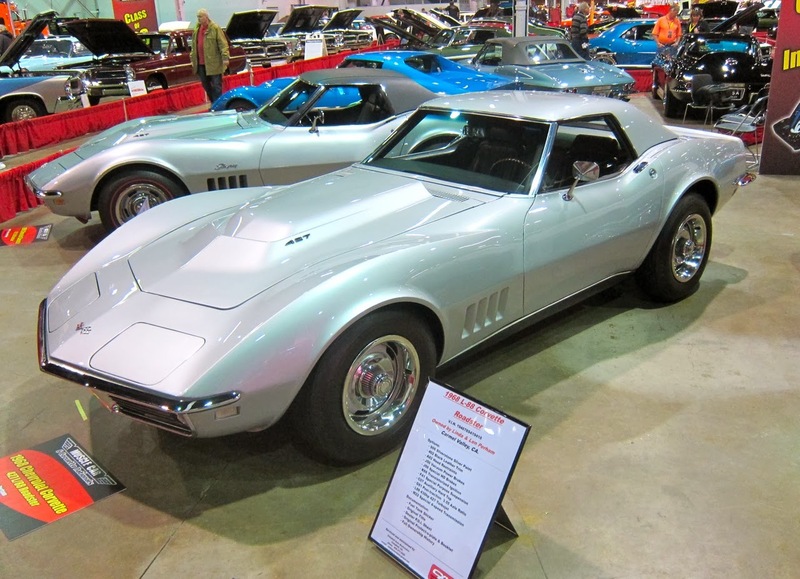 While Chevrolet built just 20 in the 1967 model year, hundreds have been cloned over the years, many high-dollar replicas. 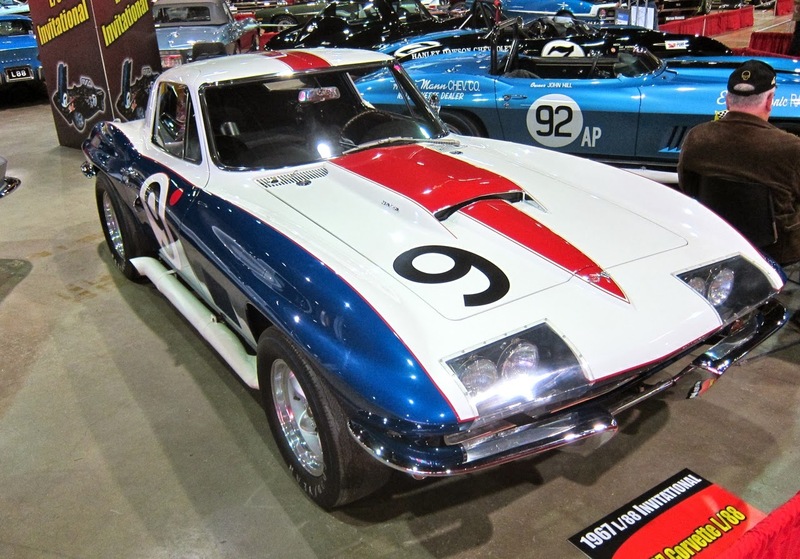 Philip Castaldo’s L88, above, believed to be first 1967 L88 coupe built. 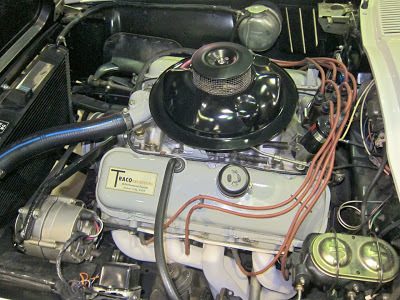 Irwin Kroiz owns ’67 coupe, below. In 1967 and 1968, the single four-barrel, aluminum-head 427/430 horsepower L88 option cost $947.90, while the tri-power 427/435 horsepower L71 option cost just $437.10. That held true in 1969 as well, but the L88 option jumped to $1,032.15. 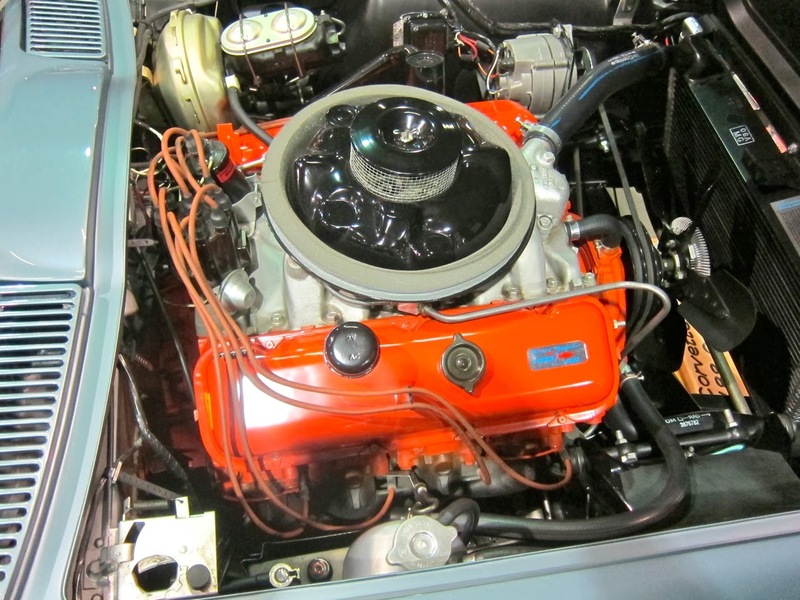 Understandably, the 427/435 with its three carburetors was a much easier sell, and considerably easier to live with on the street. Convertible, above, only Lynndale Blue (’67) L88 built, The Brothers Collection. The L88 engine, above, in Kevin Mackay’s #92, was developed for sports car racing during Zora Arkus-Duntov’s glory days at Chevrolet and, while rated at 430 horsepower, it actually made an additional 100-plus horsepower once tuned and fitted with free-flow exhausts. Later model L88s had the improved open-chamber cylinder heads, as used on the all-aluminum ZL1, which helped the engine put out more power at the top end of its rpm range. In 1969 the all-aluminum RPO ZL1 427 engine joined the aluminum-head, cast-iron L88, offering serious racers yet another engine choice. 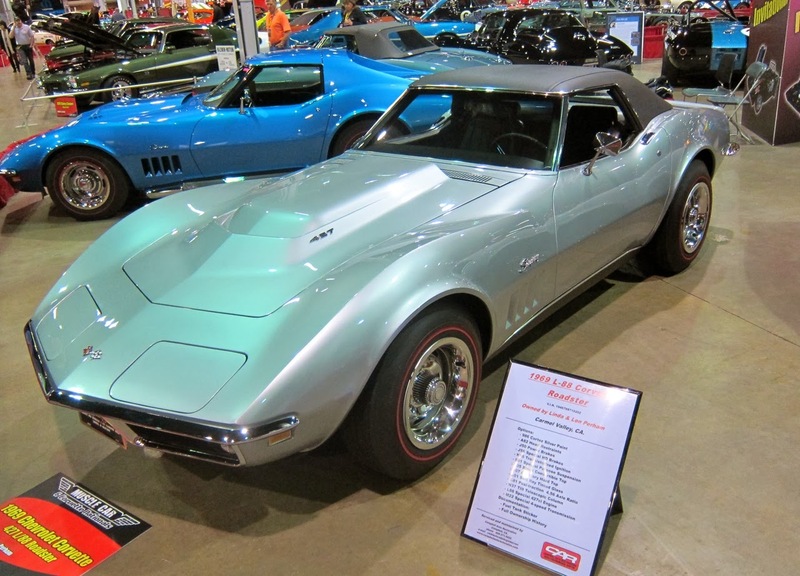 Since the ZL1 (listed as Special L88) option was priced at $4,718.35 and a ’69 Corvette convertible had a base MSRP of $4,438, it’s understandable why very few were built compared to the 116 L88s, Scott Jones’ ’69 L88, above. While factory records show two ZL1s built and accounted for, a third has surfaced recently; our best guess is that others were “retailed” out the back door at Chevrolet! 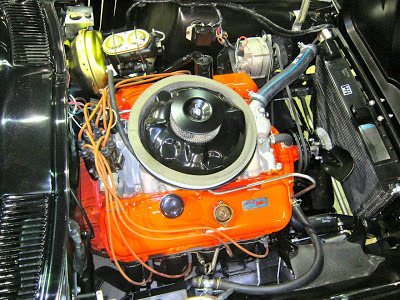 Chevrolet engineered the L88 engine, above, Harry Yeaggy’s ’67, with its lighter aluminum heads for racing and the engine offered very few advantages on the street. 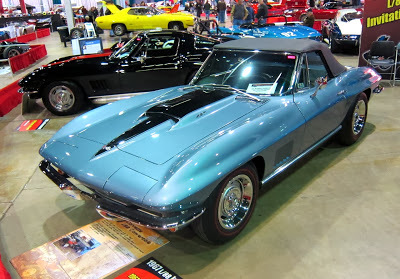 On the street with closed exhausts and stock tuning specs, a 427/435 Corvette was as quick or possibly quicker than an L88. 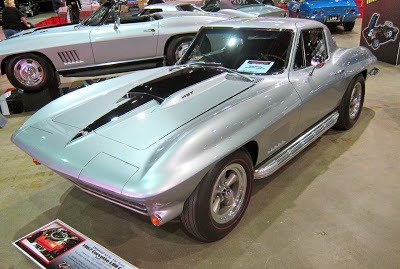 Plus, an L88 Corvette could not be fed efficiently with pump gas and were typically not fitted with radio and heater. 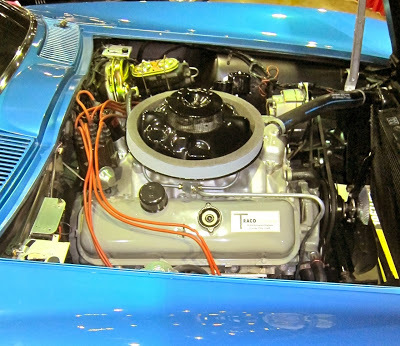 L88 engines were fitted with ultra-high-lift camshafts, close to .600-inch lift and engineered to make power and the upper level of the rpm range. Len Perham owns the ’68 & ’69 L88 convertibles, below. 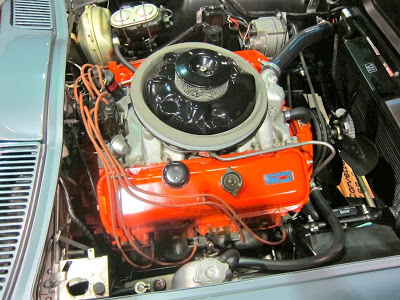 Since engines in L88 Corvettes were fitted with forged 12.5-to-1 pistons, Chevrolet was clear about the need for super-high-test gas: WARNING: Vehicle must operate on a fuel having a minimum of 103 Research Octane and 95 motor octane or engine damage may result.